India’s most popular and largest e-commerce website Flipkart is said to have delivered Xolo Q900s, running Android instead of Xolo Win Q900s Windows Phone, running Windows Phone 8.1 to many of their customers, who had ordered this new Windows phone. 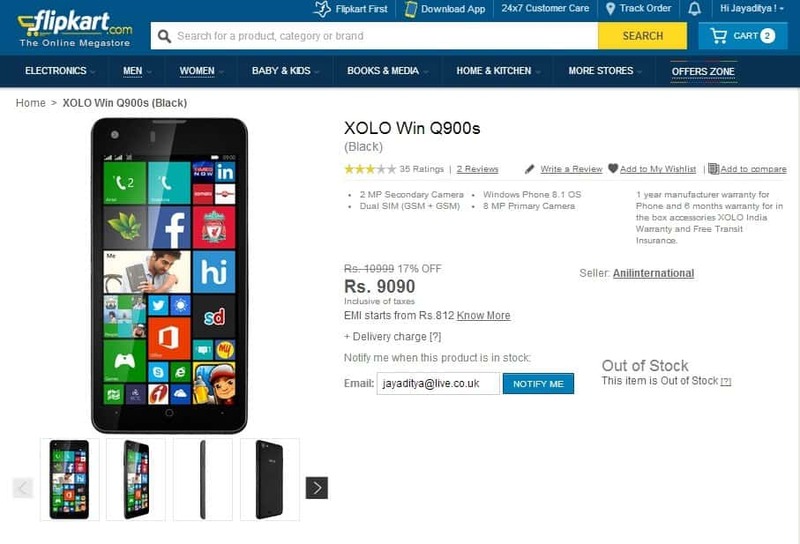 Angers build up among customers who had ordered the new Xolo Win Q900s, which is a Windows Phone from Xolo running Windows Phone 8.1, and they were supplied with the Xolo Q900s, which is an Android phone. The Xolo Win Q900s is the latest Windows smartphone from Xolo running the lastest version of Windows Phone i.e Windows Phone 8.1 while the Xolo Q900s is an Android phone running Android 4.2 Jellybean. The probable reason of this blunder is may be the similarity in name between both the phone which are on completely different platforms. Both their names are ‘Q900s’, but there is a prefix ‘Win’ before the name of the Windows version of the smartphone. Many people are expressing their anger and frustration over this kind of service from a reputed e-commerce website, in fact the most poplar one in India and they are commenting their experience in the review section of the product. 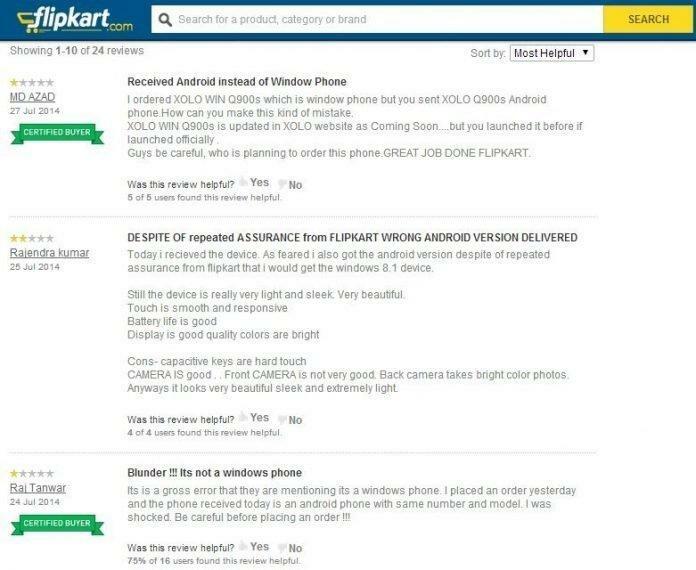 Till now, there is no statement from Flipkart and personally, I also don’t think that they are going to respond fast as now a days the service provided by them has gone bad, and I can just advice one thing- Don’t just order it on Flipkart because you can get it for a cheap price, you can buy it from somewhere else, and that may not cost you such trouble, waiting for the right product and refund. Here’s what people are saying about it. Previous articleAsus ZenFone 5 vs Motorola Moto G: Which is better?